Did you know that more than 3 million blog articles are written daily on WordPress alone? Though it is the leading platform for bloggers, it is not the only one. Hence, the actual number of blogs posted daily is a mammoth figure. Add infographics, images, slideshows, e-books, and video content to the above figure, and you have got yourselves an astounding quantity of content that is generated on a daily basis. Let’s not forget the tweets, Instagram Stories, and other social media posts; taking the amount of content created per day to astronomical heights. And who is creating, organizing, and optimizing all of this? Content managers. Well, you’re not wrong if you assume that it’s no easy task to be a content manager. In fact, constantly churning out quality content that can compete with the cut-throat competition out there is no child’s play. To make their lives a little bit easier, they would definitely need the help of certain tools especially designed to make their lives easier. However, content marketing tools are dime a dozen – you’ve probably heard of the big ones like Grammarly, Canva, and Trello already. That’s why in this blog post we’ll share with you the top 10 tools that are a little under the radar, but extremely helpful for content marketing managers. You don’t stand a chance to rank higher in search results if you have not optimized your content around specific keywords. Researching keywords in a particular niche that have high search volume as well as low competition is one of the toughest parts of a content manager’s job. Google Adwords is the most popular tool for conducting a keyword research, and chances are that you might already be using it. But another you should consider is Keyword Everywhere chrome extension. It lets you see the volume, competition and CPC for any keyword that you search in the Google Search interface itself. It’s great for discovering new keywords while you browse the internet. You can also see the SEO stats for certain websites when you decide to toggle the feature on and off – a fantastic hack. Content managers need to be creative and analytical at the same time. But that’s only possible if they have the right data in their hands. What’s more? They need to stay on top of what is being said about their brand, product, industry, competitors, and influencers. By knowing this insight, content managers can pitch great articles that are about relevant, trending topics and see whether they are performing better or not in comparison to their competitors. This is where Mention comes in. This media monitoring and social listening tool helps content managers track their brand awareness, achieve better insights on their social mentions, and find online influencers – all from one easy to use platform. Every marketer knows the importance of knowing what your competitors are thinking and doing. It’s difficult in the offline world, but Buzzsumo makes it a piece of cake in the digital world. Leverage this tool to discover the top performing content on particular keywords on the entire internet including social media. You can also analyze the top-performing content to see what elements are contributing to the success or failure of a particular content piece – all you have to do is emulate what’s working. Initiated as a community platform for bloggers, Tapinfluence is known to bring together all content creators, influencers, and brands through meaningful content that is actionable and invokes inspiration in people. Another aspect that the platform takes seriously, is to reshape content and how it should be delivered to the end readers. With the use of this tool, content marketing managers can create and execute a robust influencer marketing program. It allows easy tracking of how the content is performing beyond blogs. What’s more, you get to meet influencers that help you bring more engagement to your blogs. Most content marketers don’t fully leverage the power of live chat for website. Proprofs Chat is much more than a tool for just chatting with website visitors and maintaining customer satisfaction. Instead, it is the ultimate source to understand what your customers actually want from your website or product. Start by analyzing your chat history and transcriptions to learn about the top-queries that your users asked on live chat. Voila! You now have the material for the perfect content that you need to create that will resonate with your user base. More often than not, you need to include screenshots in the form of JPEGs, GIFs or video format in your content pieces. This is especially the case when the focus of your content is on a software or a tool. Or, you need to showcase some data from somewhere like Google Analytics. If you are still using the PrntScr key for the same and editing it in Paint or Photoshop, you are simply wasting a lot of precious time. Use Snagit to quickly take a screenshot or screen recording and simply edit in its editor to add annotations, arrows, callouts and more. Video is the most popular type of content currently, and it shows no signs of slowing down. But creating professional looking videos must be really difficult to make, right? Lumen5 is and AI-powered, cloud-based video creation platform that allows even total beginners to create amazing, highly engaging videos in minutes. A tool that saves you time while creating awesome videos? Yes, please! Brightedge is the perfect option when it comes to creating content that is highly visible to your customers and target audience. The content optimization tool helps you to discover the true search demand of your target audience, which allows you to create content that caters exactly to their needs. You can also measure how your digital content is performing and later improve accordingly. In short, it is one platform that helps you create content marketing strategy that helps you target your audience, monitor the performance, and delight them efficiently. 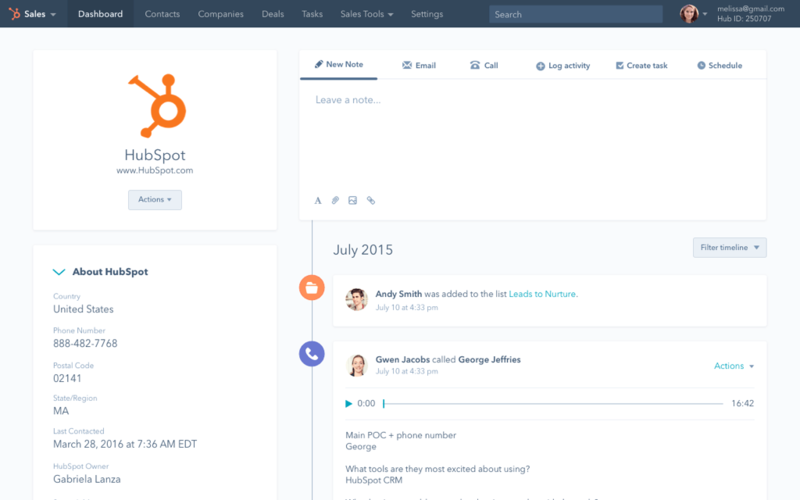 Hubspot guarantees an all-in-one marketing solution to its users. This marketing automation tool is the perfect way to manage your content and provide your target audience the solution they’ve been searching for. The tool can help you create ‘content clusters’ around a topic to link all of your existing content like case studies, blogs and e-books, which can improve your SEO. What’s more, it can track the activity of your customers in every step of the customer journey. As a result, you can pinpoint which exact pieces of content they consumed before becoming a lead or customer. It’s one of the most comprehensive content marketing tools out there. Examine customer interests and build a content marketing strategy with Idio. The tool uses content intelligence to predict the interests of every individual and shares relevant experiences across different digital channels. It can help content marketing managers boost brand engagement, and create more lead conversion opportunities effectively. Ever copy and paste your content from a Google Doc into WordPress and it shows up… weird? You end up having to spend precious time reformating everything to make sure it looks just right. Wordable lets you export content from a Google Doc directly to WordPress and everything – images, links, text – shows up exactly as you expect it to. Spend less time reformatting your posts and more time writing amazing content. Being a content manager is no walk in the park. The pressure of generating top-quality content on an almost daily basis can be overwhelming, but no one said you have to do it the hard way! To make your life easier, try out some of the tools mentioned in this article. Got another tool that should be added to this list? Share with us in the comments. Jason is a Sr. Technical Writer currently associated with ProProfs Chat. He enjoys writing about emerging customer support products, trends in customer support industry and the financial impacts of using such tools.